California’s parents aren’t getting two key pieces of information they need to evaluate schools, says a new independent review of states’ accountability plans. California ranked at the bottom, along with Idaho and Texas, receiving the lowest scores in two categories out of nine in a review of 34 state plans on complying with the federal Every Student Succeeds Act (ESSA). California got the bottom score — a 1 out of a possible 5 — for failing to identify the 5 percent of lowest-performing schools, including high schools where more than a third of students aren’t graduating, and for not measuring whether individual students are actually learning more. Reviewers also called the state’s new dashboard that tracks school performance complicated and incomplete. But California received the highest score — a 5 — on its state tests that students take in the spring because of their rigorous standards. The reviewers also lauded California for accommodating English language learners in those tests, particularly Spanish-speaking students and students that need individualized plans. The state was also praised for including suspension rates in its accountability system. The review, released Tuesday by the Collaborative for Student Success and Bellwether Education Partners, is based on independent reviewers who rated 34 state ESSA plans submitted in September to the U.S. Department of Education. California uses rigorous college- and career-ready standards in mathematics and English language arts, using the California Assessment of Student Performance and Progress (CAASPP) system. The state is making progress toward new tests in science and Spanish biliteracy. In spring 2017, the state piloted its California Science Tests (CAST), which are aligned with the California Next Generation Science Standards. The state provides a detailed description of its accommodations for English language learners, as well as an alternate assessment with accommodations based on a student’s individualized education program. California’s plan does not include an individual student-level growth measure to show whether students are improving. Instead, it only tracks year-over-year changes at the school level. For schools already performing above the state’s goals, there is little incentive to strive for higher achievement levels. California is considering adopting an individual growth model by 2018-19, but it could do it quicker and shift to a measure that tracks student-level progress over time. California has not finalized its methodology for identifying the lowest-performing schools. California would take considerably longer than other states to identify failing high schools that need extra support. 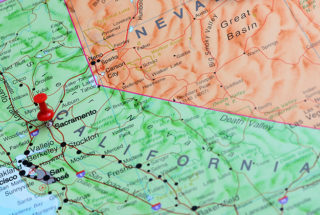 California was one of the 34 states that got extra time to work on the ESSA plans, filing them in September — 17 others submitted their plans in the spring — but the reviewers dinged the state for not strengthening its metrics. “We hoped that with extra time and resources given to the 34 states that submitted in the fall, plans would incorporate more best practices and innovative ideas. Unfortunately, many states like California failed to use this extra time and information to strengthen their plans,” Cowen said. Despite the additional time to get input, only Indiana received a 5 in two categories; nine states got a 5 in at least one category, the reviewers found. The nine categories reviewed were: goals, standards and assessments, indicators, academic progress, all students, identifying schools, supporting schools, exiting improvement status (improving enough to no longer need state interventions), and continuous improvement (learning from implementation and modifying the plan going forward).